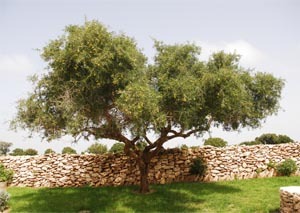 Their region stretches along from the city of Essaouira south to the Souss valley, mainly on the Atlantic coast. 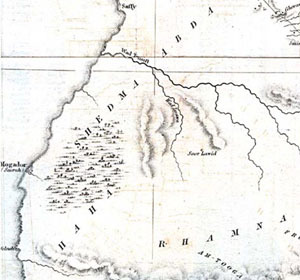 Their neighbours to the north are the Chiadma, who have a similar culture but are Arab speakers. 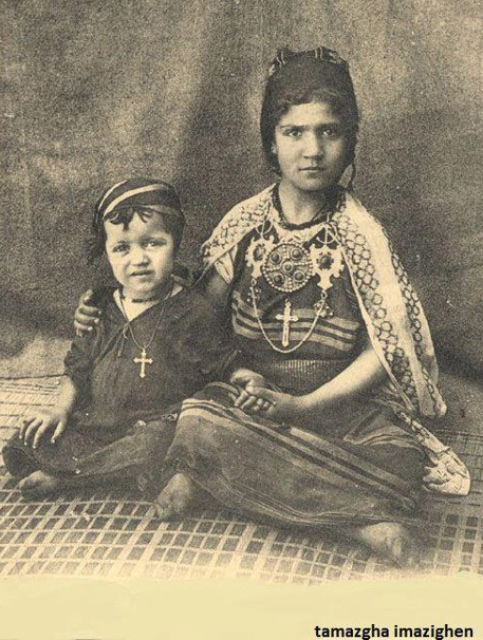 The Gangas are black Berbers who have been present in the region since the 16th century at the time when they worked in the sugar refineries. 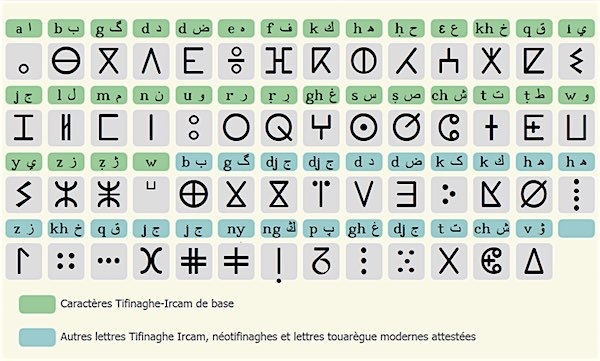 The ancient Berber script, Tifinagh, was developed around 500 BC, from the Pheonicians.The Symbol represents Freedom seen by the Imazighen of North Africa. It was used in the war as a weapon and also represents the last letter 'Z' of the Tifinagh Alphabet. 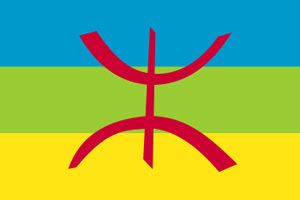 It is called the AZA sign of the Imazighen people used in the middle of the Amazigh flag. and a Tifinagh letter yaz (z) or aza. the high and middle Atlas mountains. 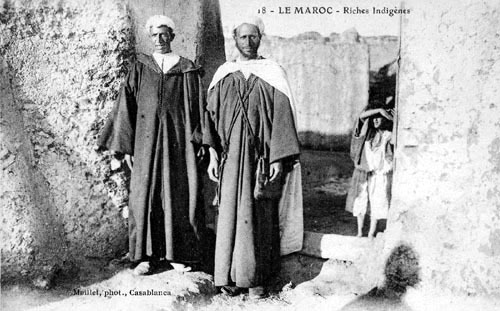 The Berbers are considered the first inhabitants of Morocco. Islamised by the Arabs. 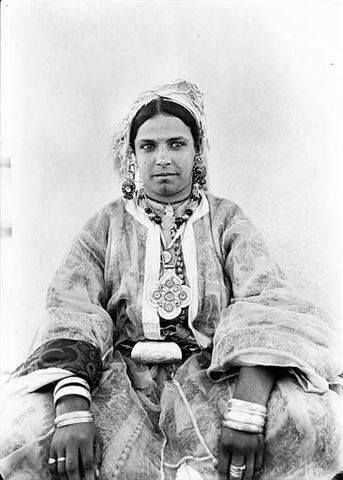 Shilha native Taclhit, variously transcribed Tachelhit, Tachelhiyt, Tachlhit; also Tamazirt n Suss, (Moroccan Arabic:Shelha) is one of the large Berber language with about 3 million speakers. 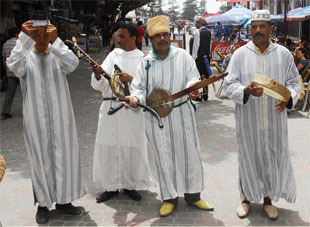 There are three berber linguistic groups in Morocco. 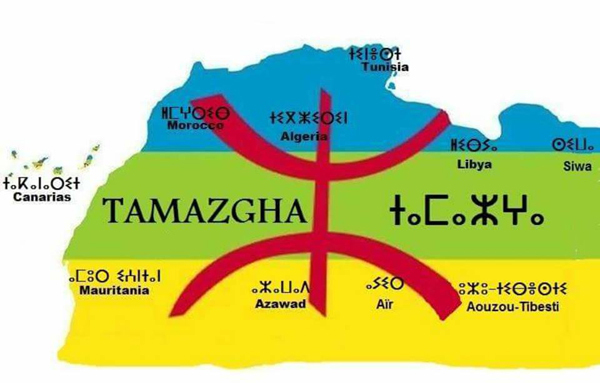 In the North the Rif (tarifit), in the High and Middle Atlas Tamazigh (tamazight) and also in the Anti Atlas and the Souss the Chleuh (tachelhit). A Moroccan explorer of Berber descent. Over a period of thirty years, Ibn Battuta visited most of the known Islamic world as well as many non-Muslim lands. His journeys included trips to North Africa, the Horn of Africa, West Africa and Eastern Europe in the West, and to the Middle East, South Asia, Central Asia, Southeast Asia and China. 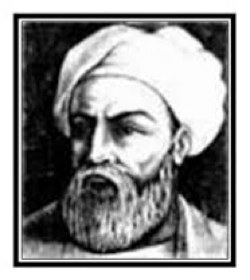 Ibn Battuta is considered to be among the great travellers of all time. 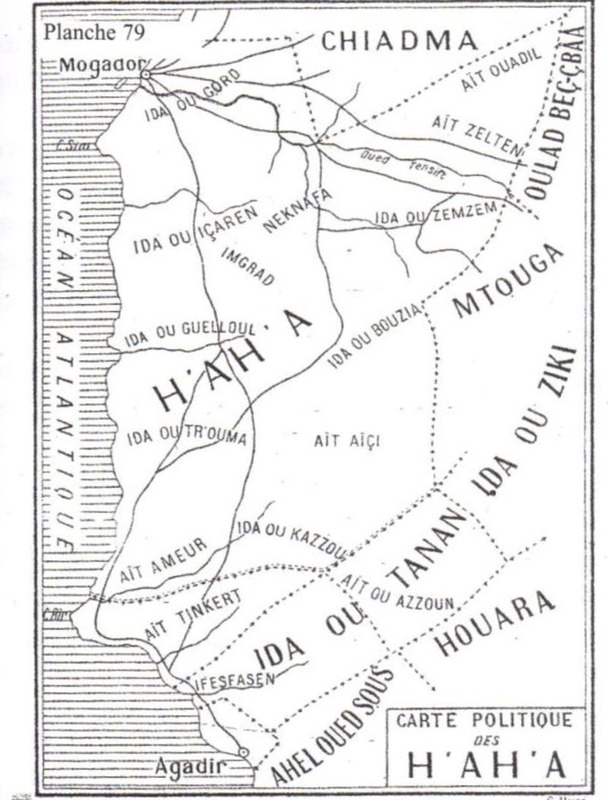 Ibn Battuta is probably buried in Tanger where he died and he visited also Marrakech (the mythical capital of the Amazigh, Marrakech (Land of Gods). date of the rising into power of the first Libyan Pharaoh in Egypt, Shoshenq I, whom they identified as the first prominent Berber in history (he is recorded as being of Libyan origin). For example, the Gregorian year 2010 corresponds to the year 2960 of the Berber calendar. "Some historians link it to the enthronement as pharaoh of the Amazigh king Chachnaq after defeating Ramses III [believed to have happened in 950 BC]," said archaeologist Mostafa Ouachi, referencing the Berbers' ancient Amazigh language. 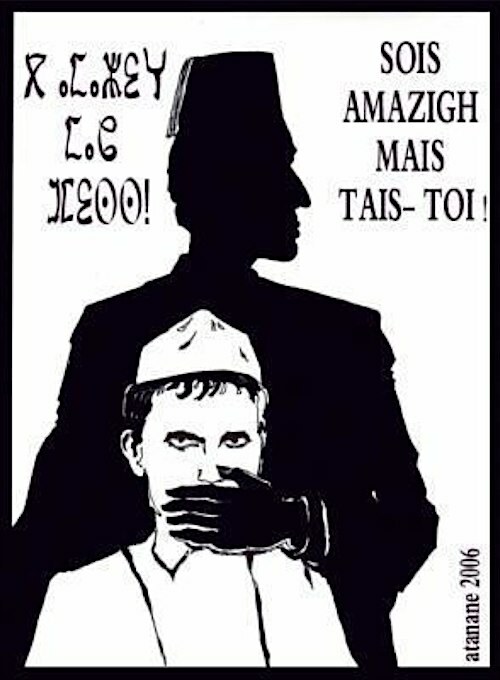 Morocco's Berbers, who several years ago won official recognition for their ancient Amazigh language in a new constitution, are also pushing for January 13 to be made a public holiday. 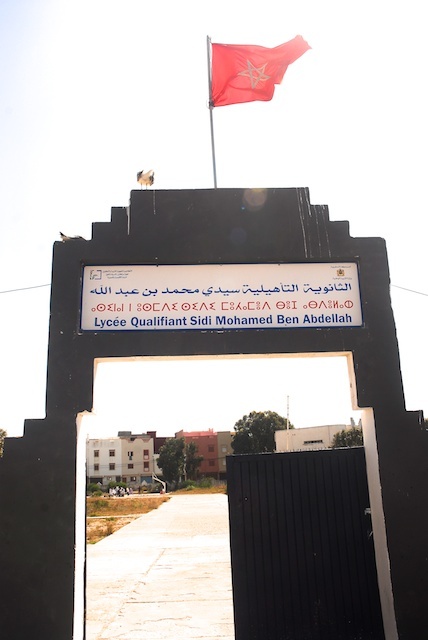 Here we see the name of the school in Arabic, Berber and French. and that there is a struggle against Arabization and Islamism. This struggle has intensified with the increased political awareness that followed the "Arab Spring" uprising. but also to give them credits for culturel, scientific and historical achievements in the past! Today, they claim their belonging to this proud, noble and free race "Imochagh" who characterized their ancestors and, in a permanent quest for their roots, lean nostalgically on their history. LEUR VRAIE HISTOIRE SERAIENT-ILS ENCORE MUSULMANS ?